JOLIETTE, Que. -- Just north of Montreal, between the St. Lawrence River and the Laurentian Mountains, is a Quebec nationalist heartland where cynicism about politics reigns and labour shortages are beginning to sting. The Lanaudiere region about an hour's drive from downtown Montreal has a pastoral feeling to it, where farmland dominates the territory between a sprinkling of villages alongside the rivers that twist and wind through the landscape. Citizens here helped bring the pro-independence Parti Quebecois to power in 1976 and have been represented over the decades by some of the party's heavyweights as it traded power with the Liberals. But support for Quebec sovereignty has been dropping since the early 2000s, the PQ has been out of power for most of the past 15 years, and voters in Lanaudiere say they feel forgotten by the power centres in Montreal and Quebec City. What they are looking for is a government to help them develop an economy struggling with an aging population and fewer young people to fill job vacancies. 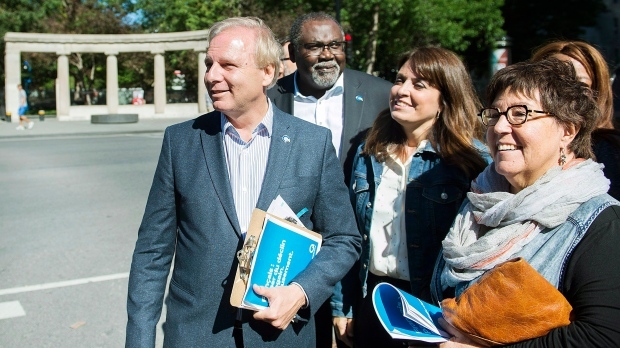 Polls indicate the PQ is losing support in the region to Francois Legault's Coalition Avenir Quebec, a nationalist party promising to keep Quebec within Canada. 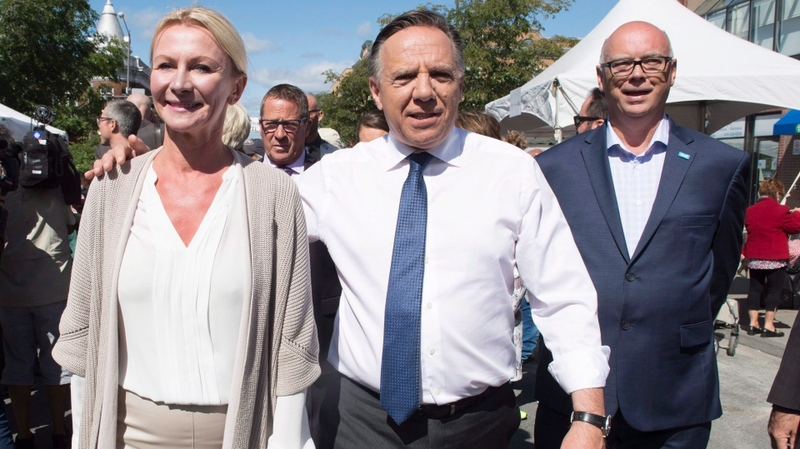 If Legault is to become premier Oct. 1, Lanaudiere is the type of area his party needs to win, but it remains to be seen if he can persuade enough jaded voters to make the switch to his "nationalist" political party. 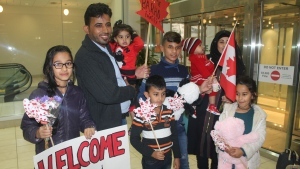 "Before, it was a pleasure to vote," said Liette Helie, 60, owner of a women's clothing boutique in downtown Joliette, 75 kilometres northeast of Montreal. "Today, I vote because it's my right, but I don't know who to vote for, because no one really does a good job." Not far from Helie's store, Caroline Prud'homme, 44, works at an electronic cigarette store. She is well-informed about the policy platforms of the different parties but doesn't support any of them. She says she has "zero" hope in politicians and "absolutely will not vote." "I have the impression that no matter who we vote for, it's always to choose whose turn it will be to pick our pockets and steal from us," said Prud'homme. Carole Rondeau, 57, one of three seamstresses at a local tailoring company, says everyone hopes for change every election, "but in the end there won't be any and I'm convinced of that." A major election issue in her region, she said, is a lack of workers. "We used to have nine employees and now there are three seamstresses and we can't find anyone to replace us," Rondeau said over the hum of sewing machines. A short walk away is the area's junior college, which lies by the Assomption River and the imposing Joliette Cathedral, whose spires are some of the tallest structures in the town of roughly 20,000 people. Student Juan Camilo Lugo Orozco, 21, said Quebec independence is popular among his friends. 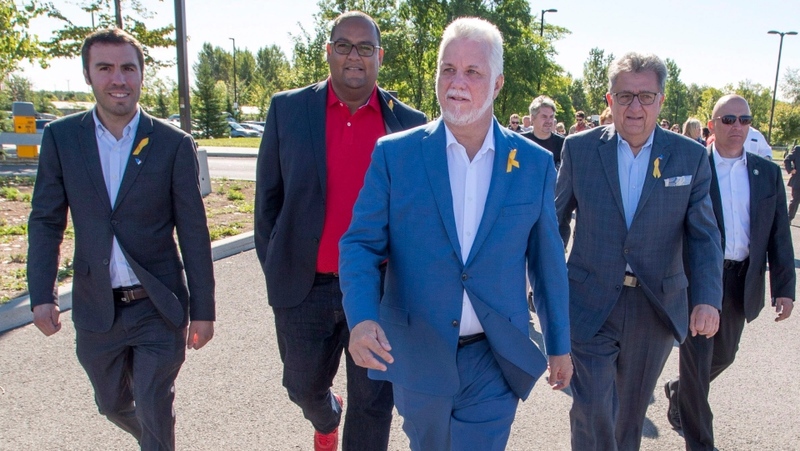 "My entourage is still interested in the PQ," he said. "But the older people I know are turning toward the Coalition." Joliette Mayor Alain Beaudry is not sure the Coalition candidate in the riding will be able to beat PQ deputy leader Veronique Hivon, who is also one of the party's most popular members. While Beaudry mentioned job shortages and a lack of financing from the provincial government as important local election issues, he said one topic surfaces continually from voters' mouths: cannabis. The Coalition is promising to increase the legal age to consume marijuana to 21 from 18 when the product becomes legal Oct. 17. "That could attract people," Beaudry said of the Coalition's strict policy. "People ask a lot about cannabis. That promise is well-received by people -- not just here, but all over the province." About 30 kilometres west of Joliette is the Lanaudiere town of Sainte-Julienne, which is in the riding of Rousseau, represented by Nicolas Marceau, the PQ finance minister between 2012 and 2014. Mayor Jean-Pierre Charron said residents "want change." "I don't think it's about dissatisfaction with Marceau, but people are looking for something else," he noted. Voters want the area to develop economically and for the region to stop being "forgotten," Charron said. Sainte-Julienne is suffering from traffic gridlock, he explained, because the highway that extends northward from Montreal ends just before his town of 10,000 people. "On Friday afternoon it sometimes takes between 60-90 minutes to get through the town," he said. "That's enormous." Legault's Coalition is promising to extend the highway. "We need the autoroute," Charron said. Back in Joliette, Marcel Nantel, 67, was having a coffee at the food court of the town's popular shopping centre. He said he's an optimist, but only because "at some point it has to get better." Nantel said he's tired of expensive promises from politicians that he thinks are nothing more than a smokescreen for raising taxes. He said he won't vote for Legault's party -- but that he has many friends who will. "I will vote PQ," said Nantel. "I have always voted PQ and I'll vote for them until I'm dead."